The Days of Johann, an agility dog! : Black and White Sunday: Wrestle time! 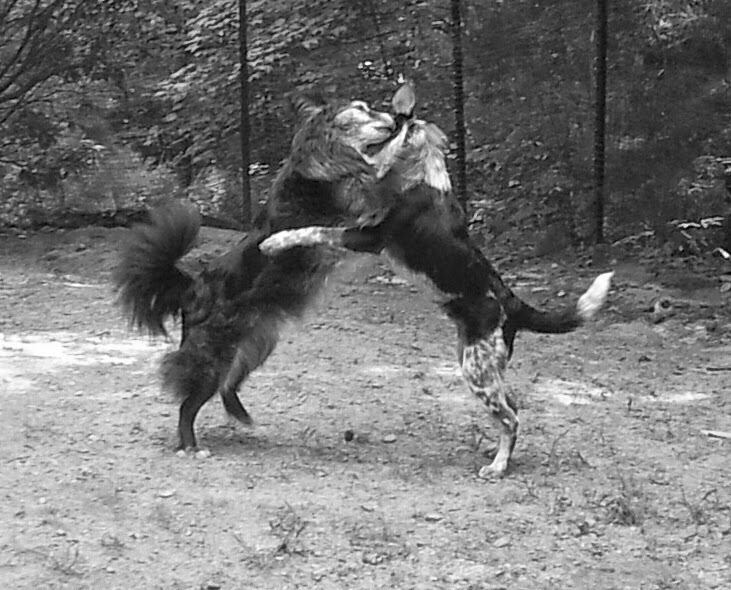 Black and White Sunday: Wrestle time! It's not the best focus, because me and Rach....we move fast!!! Look at that! They are playing! I am so glad they are getting along. Wonderful!